Interport’s 40-foot collapsible-end flat rack containers are engineered to address highly specialized shipping challenges. 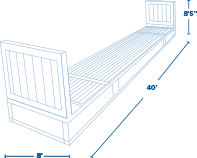 Our 40-foot collapsible-end flat racks offer the ultimate in platform capacity. With panels at either end but no side walls, 40-foot flat rack shipping containers are primarily used to transport oversized cargo such as vehicles and machinery. Loading is accomplished from the top or from the sides. Flat rack containers can also be used as temporary bridges at construction sites or on farms or other facilities. The collapsible ends fold flush into the top of the platform, making flat racks easy to stack when not in use. 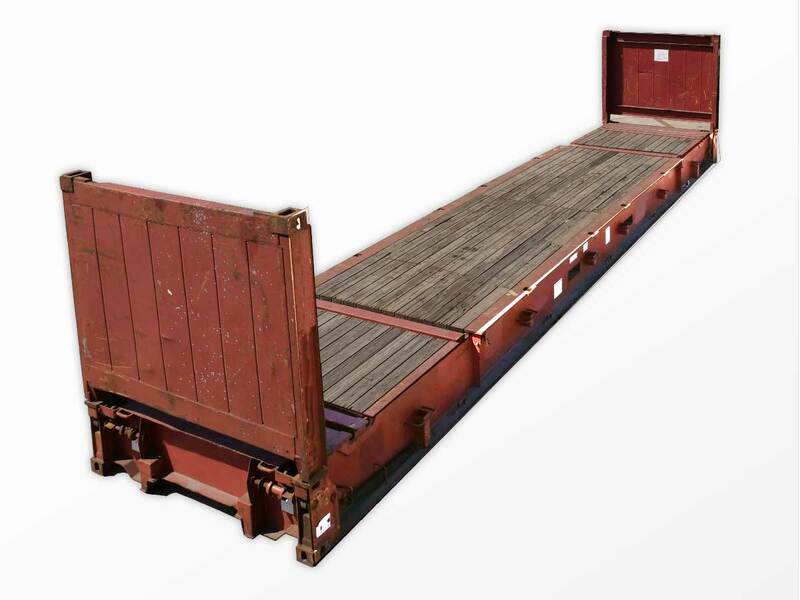 Interport offers a large selection of used 40-foot collapsible-end flat rack containers, available for immediate sale and next-business-day delivery. Length: 40ft. Length: 38ft. 3in. Width: N/A Gross: 99,207 lbs. Width: 8ft. Width: 7ft. 8in. Height: N/A Payload: 85,759 lbs. Height: 8ft. 6in. Height: 6ft. 5in. Tare Weight: 13,448 lbs. Length: 38ft. 3in. Width: 7ft. 8in. Height: 6ft. 5in. Gross: 99,207 lbs. Payload: 85,759 lbs. Tare Weight: 13,448 lbs.